Casavvy has teamed up with CreditCards.com to offer you the best choices for travel, airline, and hotel rewards credit cards. With the offers below you can view the Best Travel Credit Cards to get you on your way to free or discounted adventures. A Travel Credit Card can be your ticket to a much cheaper trip and give you more money to spend on the things that you want. Ready to start earning free or reduced travel? Search and apply for the best Travel Rewards Credit Cards, from all major credit card brands, through our partner site, Creditcards.com, and the offer below. 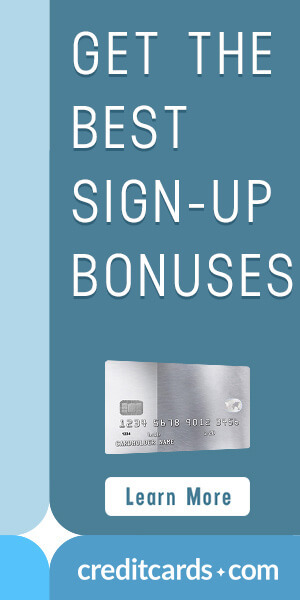 Up to 50,000 bonus point offers available! Looking to maximize your airline rewards? Whether it’s a general Travel Rewards Credit Card or a Rewards Credit Card for a specific airline you’ve come to the right spot. Compare the Best Airline Credit Cards that come with great rewards and bonuses with the offer below. Hotel Offers up to 100,000 bonus points available! Are you traveling overseas and don’t want to worry about the hassle of converting currency? Check out the great offers for credit cards that come with no foreign transaction fees below. Want to earn Travel Rewards for all of the business expenses you make? Take a look at the offers available for business credit cards below. Do you or your family fly a lot, or are you planning a future trip where you will be flying? Then comparing the best airline and travel credit cards might be a good idea. 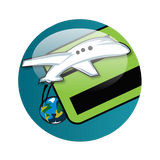 Travel and airline credit cards come in two main categories. There are general travel credit cards that allow you to accumulate points or miles that can be used on any airline for discounted or free flights. Then there are specific travel and airline credit cards that allow you to earn miles for a specific airline. Depending on how you usually fly will determine which of these cards would be best for you. If you always fly a specific airline then you want to obtain that company’s airline credit card and put it to use. These cards come with many features that could include free checked bags, seat upgrades, and airport lounge access. You can even transfer some of your travel credit card rewards to your frequent flyer miles program. If you don’t mind which airline you travel then the all around airline credit card is the way to go. You won’t get all of the features that come with a specific travel or airline credit card, but you will be able to use your points or miles on any airline that you want and most likely won’t have to worry about seat restrictions or black out dates. Also check out or free to use partnered CardMatch Tool. The program has no effect on your credit score and it matches you with targeted credit card offers and signup bonuses based on your credit profile.